When I walked away from Christianity one year ago, I didn't have all the answers. I continued to read and think and to remain open to evidence that I hadn't seen yet. I first looked at the New Testament and I tried to understand how it came to be and what it is if it's not the word of God. Recently, I've turned my attention to the Old Testament. I'm still not certain of any of this, but I think it's a plausible explanation for how the Old Testament was written and how the Jewish religion began. I'm reading the Bible Unearthed by Neil Asher Silberman and Israel Finkelstein and they say that many parts of the first half of the Old Testament appear to have been written in the seventh century BCE. They base this on geography, writing style, archaeological finds and themes. I won't present his evidence here, but I think the book makes a convincing case. I would like to look at a few passages from the Bible itself and see if they fit in with this theory. Let's begin in the seventh century BCE. The kingdom of Israel in the north has been conquered by a Assyria a few hundred years before. 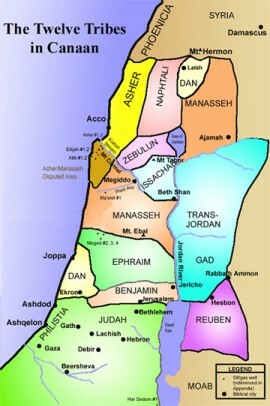 The king in Judah in the south is named Josiah. His small kingdom is beset by enemies on all sides. He's trying to bring together Judah and the parts of Israel that are not under tight Assyrian control. He is urgently trying to form a national identity for his people so that he can protect them and himself from his enemies (including Egypt, Moab, Ammon and Assyria). The religious climate at the beginning of Josiah's reign is thoroughly polytheistic. A cult of Yahweh exists, but only as one of many gods that the Judahites worshiped. Most students of the Bible would agree with everything in that last paragraph. They would add that Judah had not always been polytheistic and there was a time when they worshiped only Yahweh and kept his festivals. But in reality, there's no good evidence for that. It is possible, and I think likely, that Judah had always been polytheistic. With that in mind, read 2 Chronicles 34. Ignore for the moment the fact that Josiah is destroying these religious practices, and try to read this as a description of the religion in Judah in the seventh century. Judahites worshiped Asherah (wife of El), Baal, Molech (including human sacrifices), Ashtoreth and Chemosh. They also had mediums, spiritists and household gods. There were altars to these gods and Yahweh scattered around the region. What if this is not describing a temporary falling away, as the Bible claims, but as the normal state of things in Judah up to this point? What if Judah had always practiced polytheism just like the surrounding nations? If that was the case, then what happens next takes on a whole new meaning. In 2 Kings 22 and in 2 Chronicles 34, a story is related of a priest renovating the Temple in Jerusalem and finding a book. The priest's name is Hilkiah, and he delivers the book to Josiah. Hilkiah and the King's men pay a visit to a prophetess named Huldah. Huldah confirms that the book is the ancient book of the Law of Yahweh and she delivers a prophecy in which Yahweh threatens to destroy Judah if they don't follow this book and cease the worship of all other gods. The Bible contains two accounts of this story and they are very similar except for the order of events. In 2 Kings 22-23, the book is found first and the reformation is a result of that. In 2 Chronicles 34-35, Josiah begins the reformation toward monotheism and then he conveniently "finds" a lost book describing this religion. Then he produces an ominous prophecy to help convince the people to adopt the new national religion. The order of events seems to make a big difference. I think that Josiah began the transition to monotheism for political reasons. By elevating Yahweh from the head of a pantheon to the one and only true God, he was able to consolidate religious power in his capital, Jerusalem, which was the one true location where Yahweh could be worshiped according to the new book. The book that his priests found, compiled or composed described a religion which tolerated no rival. If this book, as I suspect, also included at least parts of Genesis and Joshua, then it provided a historical reason for Judah and the remnant of Israel to unite and to fight their enemies with confidence and total devotion. It's not hard to see how "finding" a book like this would be a big help to Josiah. With this theory in mind, I have revisited several familiar stories from the Old Testament and many of the stories fit in very well with the aims of King Josiah. For example, Ammon and Moab, two nations that Judah had often battled, are given an embarrassing origin myth in Genesis. After Abraham's nephew Lot narrowly escapes the destruction of Sodom, his daughters get him drunk enough to sleep with them. The sons born from these incestuous unions are the founders of the Ammonites and Moabites. Even if Genesis was a counterfeit used to consolidate power, you can't say that its authors didn't have a sense of humor. But for Josiah's kingdom, the most relevant origin myth was the story of Jacob and his sons. In order to convince the various tribes around him but they were all really one nation with one God and one history, Josiah's book includes a story of a man with 12 sons. Each son has the same name as one of the tribes. And wouldn't you know, when that man dies in the story he tells his sons that Judah's descendants will rule over them. Josiah is from the tribe of Judah. The tribes that descended from the heroes of the story are all clumped together on the map in the territories that Josiah would need to acquire first. Once again, the story seems to serve the political needs of King Josiah. The story of the Exodus would have been useful to Josiah. Egypt was one of the most dangerous enemies of 7th century Judah. A scattered people needed to be convinced that they could defeat this empire. The story of the Exodus is an effort to do just that. It also provided a good backstory for the Yahwist festival known as Passover, which Josiah reinstituted. If the accounts in 2 Kings and 2 Chronicles are correct, then Josiah went to great lengths to execute his plan. He rounded up the leaders of the newly banned cults, slaughtered them, then desecrated their altars. His clever stories and prophesies apparently didn't convince everyone, so some murder and terrorism let the people know that they should go along with this new religion or else. Unfortunately for Josiah, his plan didn't work the way he expected. He was killed in a battle against Egypt and his religious reforms were quickly reversed. A few decades after his death, Josiah's version of Yahweh worship took on new meaning when Judah was conquered by Assyria then Babylonia. The Jewish religious leaders who were exiled or returning from exile may have rediscovered the book that Josiah's priests compiled. In their time the need for national identity was just as great, and they may have preserved and expanded the work of Josiah. I'm not saying I'm certain that this is how it happened. This could just be a fanciful attempt to make the Bible fit into my worldview. But, as science and archaeology continue to point out inaccuracies in the Bible, explanations like this one become much more plausible. With that disclaimer, I'll venture a little further into crackpot theory territory. Scholars usually think that the book of the law in the story was actually Deuteronomy. Other scholars, including Finkelstein, think that Deuteronomy - 2 Kings is all in the same style. My suspicion is that Josiah went to the temple of Yahweh, the top deity in the pantheon, and consulted with a priest, probably Hilkiah, about making the cult of Yahweh the only game in town. I doubt that one man could produce Genesis - 2 Kings, so Hilkiah probably worked with other priests to adapt existing stories and legends (see the documentary hypothesis) and craft new ones to serve the needs of the cult and the king. If Hilkiah was a literary genius, then it may have run in his family. The prophet Jeremiah, himself the author of two books of the Bible, had a father named Hilkiah and was supposed to have been alive during the reign of Josiah (Jeremiah 1:1, Jeremiah 35:25). Josiah, Hilkiah, Jeremiah, the other priests of Yahweh and the prophetess Huldah may have all worked together in a patriotic effort to bring their nation together and help it survive. Their work wasn't all original, but their retelling of the legends served to form a national identity that endured for centuries and provided a backdrop for several spin-off religions. The DC speculators are convinced the Tim Kaine will be Obama's VP. Civil rights lawyer, law professor, new to high office (not a beltway insider). Sounds like a good fit. He's also pro-life, a Catholic and spent a year as a Christian missionary. That might help the ticket in some demographics. 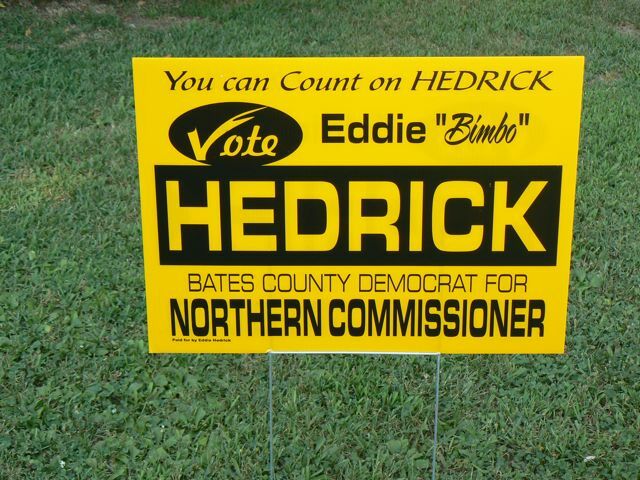 He was only elected governor in 2005, so that doesn't add a lot of experience to the ticket. My favorites are probably still Sebelius, Edwards and especially Richardson, but I think Kaine would be great. The Bible Unearthed is a 90-minute documentary that aired on the History Channel. The sound gets a little out of sync on this YouTube video, but I haven't been able to find a better version. If you can't stand it, check your TV listings or just read the book that it's based on. The video discusses the Old Testament stories in relationship with what we can determine through history and archaeology. The picture that emerges is very different from the story that the Bible tells. During the seventh to fifth centuries BC the nations of Israel and Judah were coalescing. Religion and history were both crafted to set the nations apart from the surrounding people. Their mythologies were eventually combined and revised into what we call the Old Testament. I guess that's why there are two versions of several stories in the Bible (e.g., creation and 10 the commandments). It's also possible that monotheism is not as old at the Bible suggests. The fledgling Jewish nations may have selected a god from the pantheon and declared that he was the only true god, not unlike what Muhammad did with Allah. There is certainly evidence that El, a very early name for the Jewish god, was part of the pantheons of several of the surrounding cultures. I would love to hear what you think of the video. I just requested the book from the library. Part 3 of this series is here: Religious Autobiography 1998-2002. After quitting my job at the church, I kept my promise to become less involved. I went to Sunday morning services, but that was it. No Sunday school, no Bible studies and no volunteering. This was the least involved in church I had ever been in my life. And for the first time I can remember, I stopped reading my Bible and stopped praying. I thought that if I just did the bare minimum for a while I might get interested again. I knew that it was possible that I wouldn't, but I didn't really care. During this period I made a few posts to my blog about religion, but none of them were particularly positive. Then, between July 8, 2005 and January 24 is 2007, I didn't make a single post to this site in the religion category. I wasn't practicing religion, I wasn't blogging about religion and I wasn't even thinking about religion. I had never been a nominal Christian in my life, but I guess that's what I became. Church services, an activity that I spent so much time participating in and even crafting, became strange to me. I didn't want to sing the songs anymore. This was partially because I wasn't sure if I believed in the message of the lyrics, but also because I felt odd chanting religious statements in unison with a group. What had once been a cherished activity now felt like subtle tool for brainwashing. As for sermons, the best way to describe my feelings toward them is to say that they became less and less useful to me. The preaching hadn't changed, but I guess my approach had. I began to dissect them and to think about how they might actually benefit me. I guess I was less interested in the esoteric religious doctrines and more interested in practical knowledge. I was finding a disappointing lack of the latter. It didn't help that during that period the church had a long sermon series instructing the members to donate more money to the church. Finally, two years after my resignation, Sara had had enough. She wasn't upset that I had become indifferent toward religion, but she didn't think it was right for me to sit on the fence. She thought that it was unlike me to not think something through and arrive at an opinion. I admitted that I had been avoiding the subject and I pledged to her that I would make an investigation and come to some sort of conclusion. I decided that I would do what I did when considering leaving the Church of Christ and what I should've done when first dealing with my doubts about religion in general. I would research the issue from both sides. Here is a list of books in chronological order that I read between my talk with Sara in mid-2006 and my public announcement of atheism in August of 2007. I'm giving the full list even though they weren't all about religion. Even some of the fiction books played a role. I also had discussions with friends, both Christian and non-Christian. Through all these inputs, several factors were coming into focus. I was put off by the massive failure of the most theocratic president in my lifetime, and by the hateful, anti-scientific fundamentalists that have a powerful voice in our country. I knew several liberal Christians, including my wife, so I knew that that was an option. But I didn't know if I could consider it a reasonable option for me. So, I returned to those three arguments that had salvaged my faith in college. Would they still convince me? I had used the teleological argument in my teaching at the Church. I even recounted Paley's watchmaker illustration. The problem with that argument is that it was written in 1802, 50 years before Charles Darwin described an alternate explanation for the apparent design that Paley referred to. In The Language of God, Francis Collins defends evolution and warns his fellow Christians that the teleological is a losing argument. That left me with two arguments, the cosmological and the moral. And those were the same two that Collins used. 3. Therefore, the universe had a cause (God). I always found this explanation to be very convincing, and I used it once when I preached at the church. That was a Sunday when an ex-convict I had been working with finally accepted my invitation and came to church. Later on, he told me that this argument didn't sit well with him. The question that kept coming to his mind was, "Then who made God?" I gave him the standard answer, which was that God did not have a beginning, so he didn't need a cause. That explanation didn't satisfy him then and now that I was revisiting the argument, it wasn't satisfying me, either. I recognized now that the first premise was stacked in the Christian's favor. The first premise must be worded very carefully in order to include the universe but exclude God. And I don't see any reason why we should take that distinction as a given. If time itself came into being along with the universe, and the idea of causation is necessarily bound up with the existence of time, how can something be caused before time even exists? The beginning of the universe is still a great mystery, but I don't think that God makes a satisfying explanation. 1. Morality is an absolute law. 2. All laws have a lawgiver. 3. Morality has a lawgiver (God). This begs several questions. First, if morality is an absolute law, then why don't we have a clear idea of what that law says? It's not found in our conscience, for nations, periods of history and individuals do not all agree on which actions are good and which are bad. This absolute morality is not recorded in any book that I know of. It's certainly not in the Bible. We have to use our own human judgment to determine which parts of the Bible are good (love your neighbor), and which parts are evil (enslave your neighbor). Even if someone could establish that morality is very like a law, that would not mean that morality shares every attribute of human law. If you flip through the first few chapters of Mere Christianity, you'll see that Lewis uses the word "Law" over and over. He even capitalizes it. I think his hope was to bludgeon the reader with this metaphor and then slip in the second premise. Once you've bought the idea that morality is a law, the rest of the argument is easy to accept. But the problem with metaphors is that they break down. As I revisited this argument I recognized that it had something in common with the other two. They're all promoting a God of the gaps. They are all creation myths, like the story that thunder was caused by Thor's hammer. Just because we don't understand something doesn't mean that God did it. Not only is it bad logic, but it's not a satisfying answer. Just as we can ask who designed God and who caused God, this argument leaves us wondering who gave God his sense of morality. I explored this question in an article about the Euthyphro dilemma. Is there a good way to explain morality without invoking God? I think there is. Much of what we consider to be morality is probably evolved instinct. The loyalty and affection between lovers, the tender care for children and our desire to protect the innocent can all be explained by the benefits that they give to our species. After all, we are not the only species that cares for its young and cooperates. I think that these instincts, combined with culture and refined by reason, provide a much more satisfying explanation of our shared moral values than a creation myth ever could. So now, the three reasons that did the most to convince me of God's existence were no longer getting the job done. By the time I read The God Delusion I was already having serious doubts. I had always been told (and repeated in my own teaching) that the loss of belief in God necessarily leads to nihilism. But in this book I learned that a person can be an atheist and be happy. I learned that if this life is all we have, then every day is precious. Love, knowledge, progress and contentment are their own rewards. If I don't have eternity to look forward to, then I better get busy living this life. Finally, I returned to the Bible. Since before I could read I had taken it as a given that the Bible was true. But now I came to the Bible with a skeptical approach. I read Bart Ehrman's book on the New Testament as a historical document and I read through the Gospels and compared them to each other, keeping in mind the order in which they were written. It seemed clear to me that I was reading legendary material that grew over time. Some people say that the Gospels were written too soon after the events for legends to have arisen, but those people have obviously never heard of Mormonism, Scientology and e-mail chain letters. And somehow, I doubt that a largely illiterate and prescientific people of the first century were more skeptical and reasonable than people are today. Some people say that there were plenty of chances for first century people to have debunked the Gospels if they were legend, but I'm not so sure. There were plenty of people trying to debunk Mormonism and Scientology as they got started, but it didn't stop those new religions from taking hold. When Christianity became the official religion of the Roman Empire, any dissenting opinion about the origins of Christianity was suppressed. So there may have been attempts to disprove Christianity that were lost to history when the Christians came into power. Imagine if America had a Scientologist emperor. They would destroy all the evidence against Scientology and in a few hundred years, there would be nothing left on the subject but pro-Scientology propaganda. The legs that held up my belief in God had been removed one by one: the teleological, cosmological and moral arguments, the Bible, fear of meaninglessness, peer pressure, political leanings and most of all, habit. By June of 2007 I had stopped going to church and started telling friends and family. Astute readers of my blog had already detected a change in the tone of the posts I made during the first half of 2007, especially my review of Language of God. On August 4, 2007 (my birthday), I publicly announced on this site that I was an atheist. That's the story of how I went from odd-ball fundamentalist to campus ministry intern to youth pastor to nominal Christian to atheist. Part 1 of this series is here: Religious Autobiography 1980-1998. Before I left for college, I was warned by a couple of members in my home church that the church of Christ in Kirksville was not sound. You see, they had a kitchen in their basement. I was encouraged to drive to Macon, MO where there was a sound church. I didn't like the idea of driving 30 miles on a dangerous 2 lane road every time I wanted to go to church. I did visit the church in Macon once and I didn't find it to be worth the extra trouble. So, I began attending the church Tim had gone to during his freshman year: Kirksville Church of Christ. They had a kitchen and no paid preacher. The fact that I was able to handle this level of heresy was probably an early sign to people in my home church that I was about to fall away. Although Tim had faithfully attended the church of Christ on Sundays and Wednesdays during his freshman year, he had also been in a small group Bible study put on by Campus Christian Fellowship (CCF). CCF is associated with the Independent Christian Church. They do Sunday morning and Wednesday night worship services on campus as well as operating over 20 small group Bible studies that meet on and off campus. During my first week at Truman Tim and I went to several of CCF's activities and I signed up for a small group that met in my dormitory (where I met Sara, but that's a whole other story). 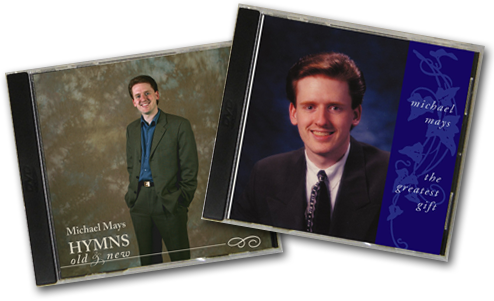 We continued to go to the church of Christ through the fall semester of 1998. After a lifetime of being taught that every other denomination is wrong, I was now experiencing friendship and fellowship with people from different religious backgrounds. These people were my age and they were passionate about what they believed. And I was able to compare that side-by-side with what I saw at the Church of Christ. One example should suffice to show the stark differences I began to perceive. For this story I'll need to introduce Nate Curl. Nate lived next door to me in the dorm. He was also involved in CCF and we became fast friends. Nate is funny, honest, faithful and very intelligent. He graduated with a 4.0 and went on to medical school. He would become my roommate and a groomsman at my wedding. He was raised in the Dutch Reformed Church, which is related to the Presbyterian Church. I invited Nate to come to church with me one Sunday during the first semester. That happened to be the day when our Sunday school teacher was handing out copies of a book called Traditions of Men Versus the Word of God. This is a typical Church of Christ book that lists all the denominations and explains why they are wrong and the Church of Christ is the one true faith. Nate was handed a book, flipped through it and found the chapter on Presbyterians. He didn't make a big deal about it, but nobody likes to be told that they are wrong and going to hell. I was so embarrassed. I had been hearing and repeating this type of thing for years, but I'd never personally known the faith of the people I was condemning. I knew that my friend was not a heretic. I had seen his faith in action. And I began to come to terms with the fact that the faith taught by my church focused too much on bringing other people down. I was learning things in my small group that were more useful and positive than anything I'd seen in the Church of Christ. I also skipped a few Church of Christ services and heard the preaching at CCF. I'm sure the fact that it was mostly young people played a role in my feelings about it, but I was also becoming convinced that the faith I saw there was more practical and more in line with the spirit of the ministry of Jesus than what I was seeing at the Church of Christ. Tim was having some of the same realizations, but the biggest obstacle preventing us from switching to CCF was the fact that they used instruments in worship. So Tim and I began an in-depth study of this issue. For the first time, we consulted material from both sides of the debate. We came to the conclusion that nothing in the Bible, Church history or common sense would suggest that singing worship songs with instrumental accompaniment was a sin. (My best attempt at defending this decision is probably found in a discussion board thread where I argued for weeks with members of a random Church of Christ on the internet. The church ended up deleting the thread, but I saved it here.) When the spring semester of 1999 began, we stopped going to the Church of Christ and started going to CCF. Over the next few years I had many discussions with family and friends about my shift in beliefs. For some of them, my decision to go to a church that worshiped with instruments was almost as bad as abandoning God altogether. (This fact would prepare me and them for the bigger shift that I would go through a few years later.) One of the books that helped me cope with this situation was Free In Christ by Cecil Hook. The book is available for free online or you can order a print copy. Hook never left the coC, but he spoke persuasively against the legalism and division that is so prevalent in many churches of Christ. I recommend the book to anyone in the church who wants to see things from another prospective and anyone outside the church who wants to see what makes this little non-denominational denomination tick. During my junior year I took a class on music in religion. Here's my final paper for that class: The Bad Son: My Journey Away from the Definitive Church of Christ Doctrine. The title is a little melodramatic, but the paper sums up my take on the coC doctrine at that point in my life. Even though I no longer believe in God, and suspect that my time in college might have been better spent doing other things, I still have some very positive feelings about CCF. I don't regret being a part of it. I made some very good friends there, and I'm still close with several of them. My faith grew and I developed leadership and people skills in my work there. I became a small group leader and later an intern. Interns devoted 20 hours per week to the ministry. During my time as an intern I led a prison ministry, a ministry for international students and I did some preaching. During my junior and senior years I came to terms with and attempted to address some serious doubts I had. I always been attracted to the explanatory power of science, and I knew that religion and science give conflicting answers to important questions. I'd forgotten the importance of hearing from both sides of an issue, or perhaps I was just unwilling to consider the possibility that God did not exist. I combated my doubts by immersing myself in the field of apologetics. Francis Schaeffer, Ravi Zacharias, C.S. Lewis, Norman Geisler, Philip Johnson and William Lane Craig became my guides. I managed to keep my faith, but I didn't totally escape disappointment and disillusionment. At the end of my junior year I saw my favorite campus minister forced out of CCF partially because he didn't buy into the Independent Christian Church doctrine as much as expected. Then I saw how the senior campus minister responded to criticism by labeling any negative comment as an attack from the devil. I think it was during my junior year that my religious fervor peaked and began to diminish. I had been planning to become a missionary. But not just any missionary; I wanted to live in the jungle and translate the Bible for indigenous people with no written language or knowledge of Christianity. I don't think Sara was ever excited about this plan, but we got as far as beginning to drum up financial support to enter this field. During a trip back to Adrian I met with Paul Burhart, the minister of the Independent Christian Church in town, to see if his church might help to send us overseas. He said they might, but he also asked me to consider an opening they had for a youth minister. I told him that I didn't think I was cut out for youth ministry, but that I would consider it. In hindsight I see this as part of a pattern of backing away from religious fervor. Sara and I decided to leave the jungles and Bible translation to someone else and to spend the summer of 2001 in a youth ministry internship at the Adrian Christian Church. I enjoyed the work, but it was still difficult and frustrating enough that I did not feel guilty about spurning missions. Paul asked us to come back and help on weekends when we could during my senior year at Truman. On September 9, 2001, ACC launched a contemporary worship service targeted at younger, unchurched families. In the months following 9/11, the church grew rapidly. We came back one or two weekends a month. Paul had also enlisted the help of some students from a Bible college in Moberly, Missouri. One of those students was Brendan Creecy. At the end of my first senior semester I told the campus minister that I was resigning my internship. Emma was about to be born, we were frustrated with CCF and we were shifting our involvement toward the church in Adrian. Sara and I both attended CCF worship services and small groups for the remainder of the year, but for us that was a huge cutback in our involvement. Part 3 of this series is here: Religious Autobiography 2002-2004.